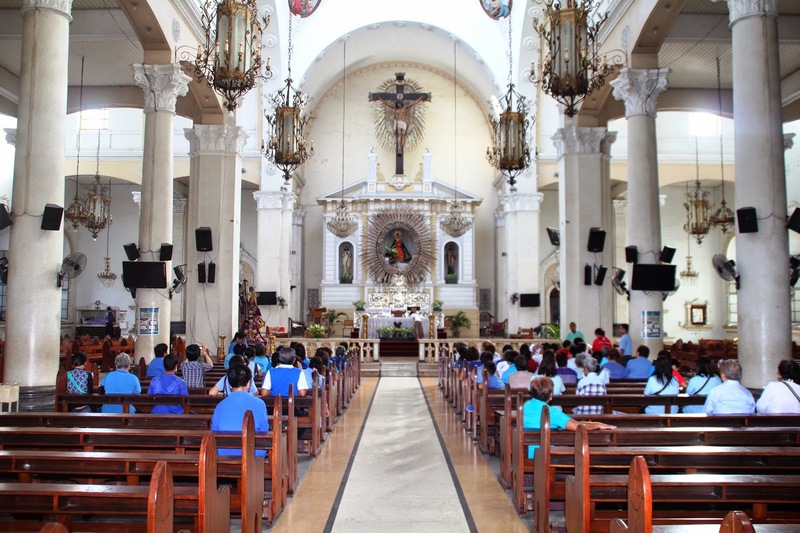 This year’s Visita Iglesia took SLRP parioshioners to a spiritual journey through Pampanga’s old and historic churches. 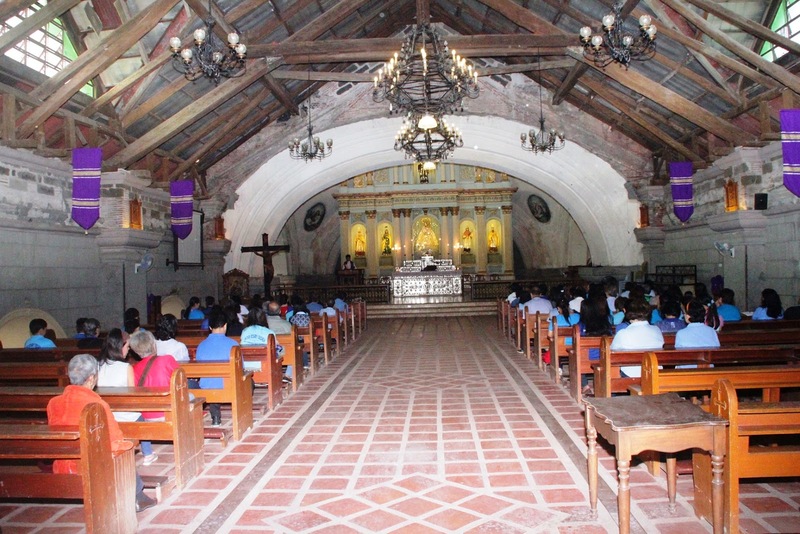 It was on March 22, 2014 that two buses of pilgrims took on this spiritual journey in preparation for Lent and a meaningful reflection of Christ’s passion and death. 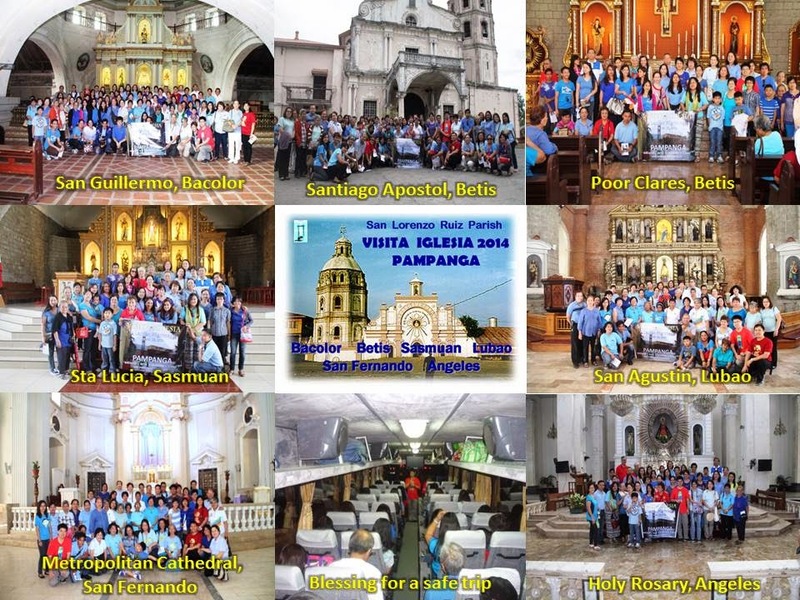 There were six churches ( San Guillermo in Bacolor, Santiago Apostol in Betis, Sta Lucia in Sasmuan, San Agustin in Lubao, San Fernando Metropolitan Cathedral in San Fernando and Holy Rosary in Angeles) and a chapel (Chapel of Poor Clares in Betis) that made up this 2014 pilgrimage. 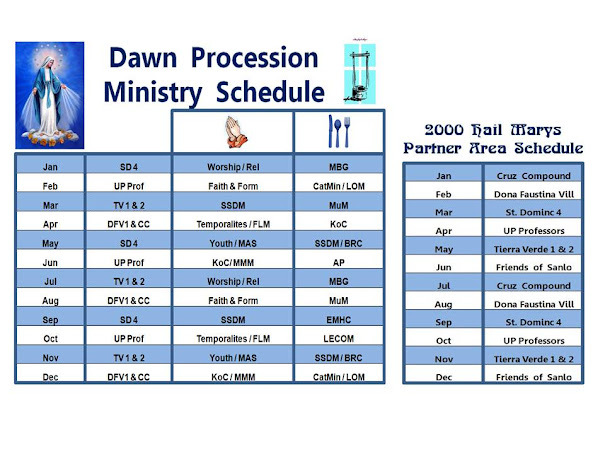 Each church had its own history and appeal to the participants. San Guillermo’s massive structure was half-covered with lahar during the eruption of Mt. Pinatubo in the 1990s. As one enters (the main entrance which was once the choir loft on the second floor), he is at once brought into nature’s awesome power. As our guide told us, the church was buried in 6 meters (or almost 19 feet) of lahar. 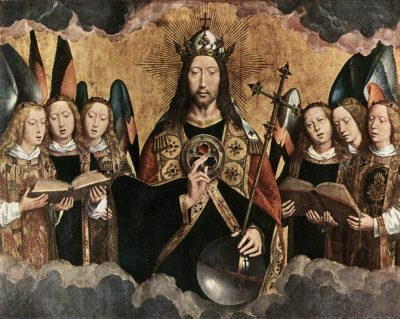 And yet, through the sheer perseverance and faith of the people, they were able to restore the church and continue to provide for the spiritual needs of its parishioners. 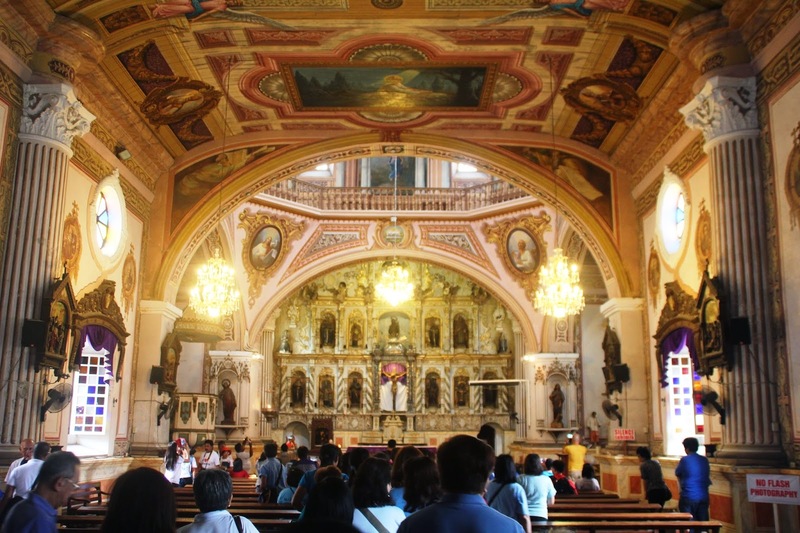 The next church was Santiago Apostol in Betis which has been compared to the Sistine Chapel in Rome because of its wall-to-ceiling-to-wall murals and paintings providing a rich tableau of biblical events. Its wooden floor also gave that special atmosphere of being ancient yet homey feeling for prayer and meditation. A church representative also provided some highlights into the church’s colorful past. The Chapel of Poor Clares, home of the reclusive nuns of St. Clare, provides a quiet, serene yet richly spiritual atmosphere away from the noise of main street. It’s well maintained gardens also provided a nice meditative atmosphere. 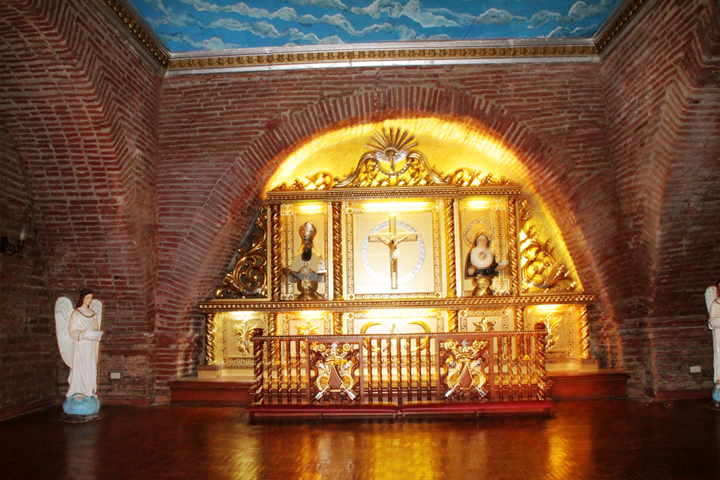 It was at this chapel that prayer intentions were given by the participants to the nuns for intercession through a special room where one can drop them into a slot in the wall without direct contact with the nuns. 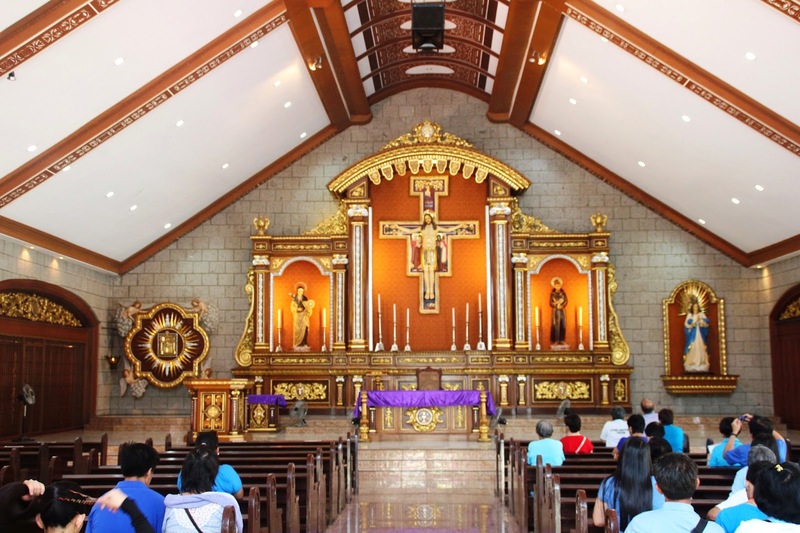 Then we proceeded to Sta Lucia church in Sasmuan where the church was the beautiful juxtapositioning of the old and modern in architecture construction for all to marvel at. 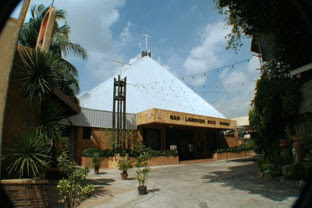 It was here where a miraculous relic of the saint is kept and where, on her feast day in December, masses are said almost on a 24-hour basis starting on the eve of the feast due to large number of devotees. A short hop and we were at the cavernous San Agustin church in Lubao. It was here where the pilgrims broke for lunch. After a hearty meal, prayers were said inside the church and many went to pay reverence to the relics of St. Augustine of Hippo and that of his mother, St. Monica, located in a special sanctuary. 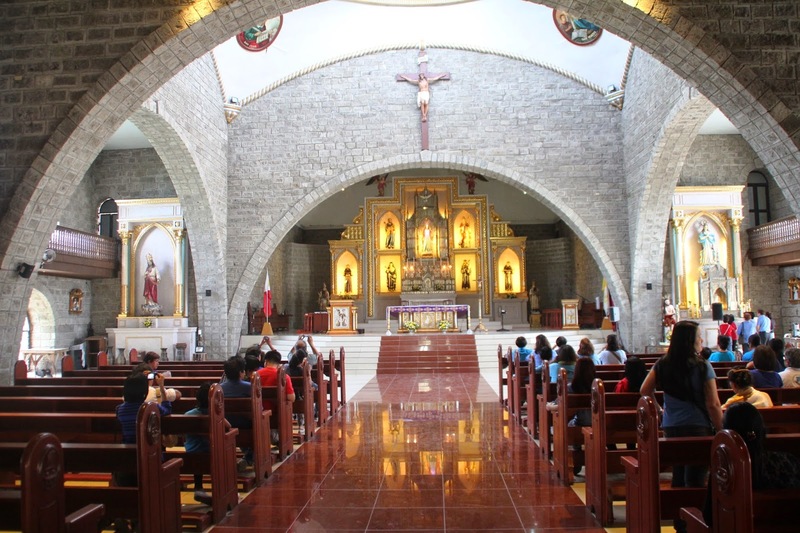 The next stop was the Metropolitan Cathedral in San Fernando which is the bishopric seat of the Diocese of San Fernando. The cathedral had just finished its renovation of its main altar. A deacon was gracious enough to give the pilgrims a brief overview of the cathedral and the activities of the diocese. 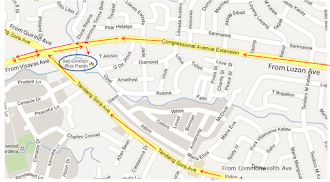 The last stop on this pilgrimage was the Holy Rosary church in Angeles City. With its iconic twin spires, the church showcases its Gothic influence in this part of the country. Its interior is of a rich historical and cultural mix of tableaus and ornate design. 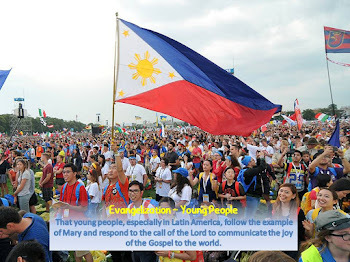 Each church provide the pilgrims with its own unique experience, rich in history, culture and spirituality that shows one the grandeur of God’s magnificence and splendor. It was unfortunate that Fr. JB, our parish priest, was not able to join as he was indisposed. 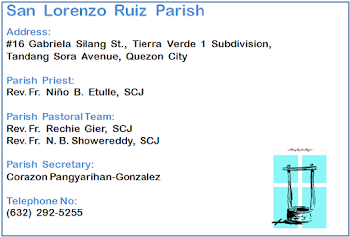 However, through God’s benevolence, a priest by the same name,Fr. John Bosco, who comes from China, and joined the pilgrimage, was there to say mass and give his blessings to all after prayers in each church. 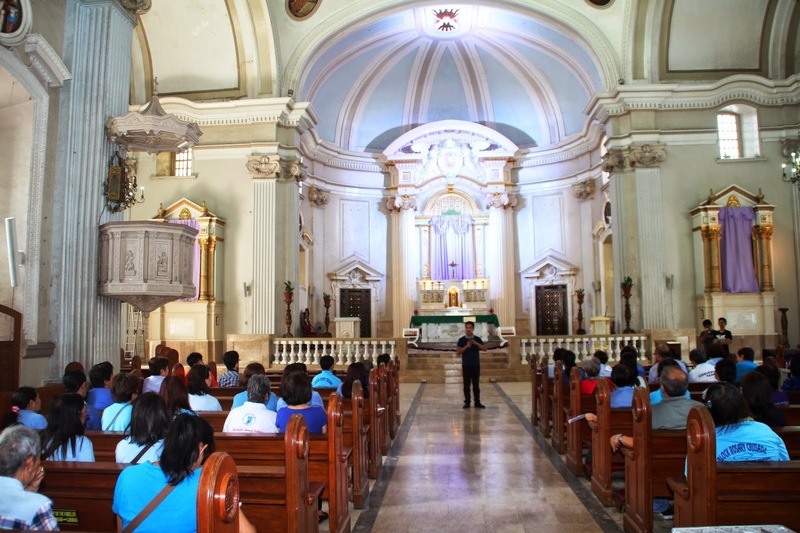 SLRP has visited most of the churches in the provinces around Metro Manila. 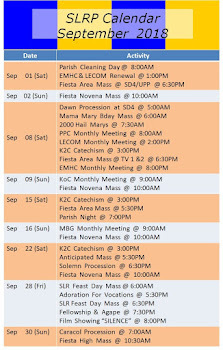 Where then will it be next year……Bohol, any one?